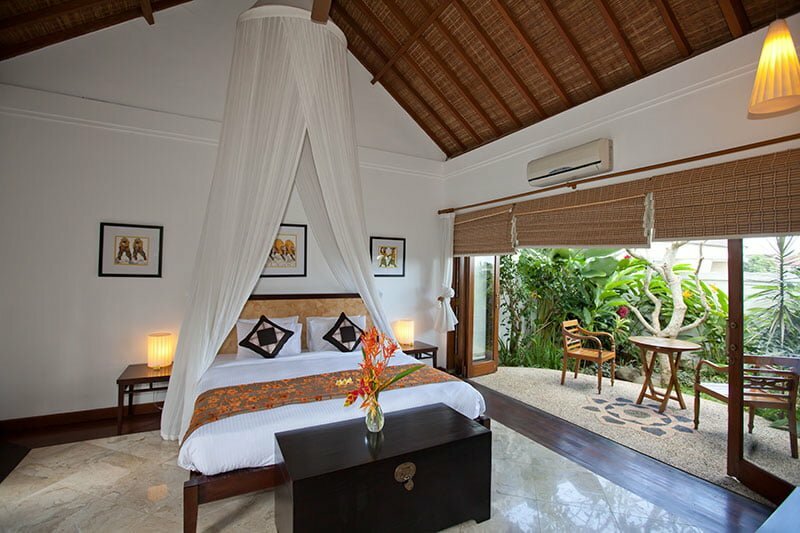 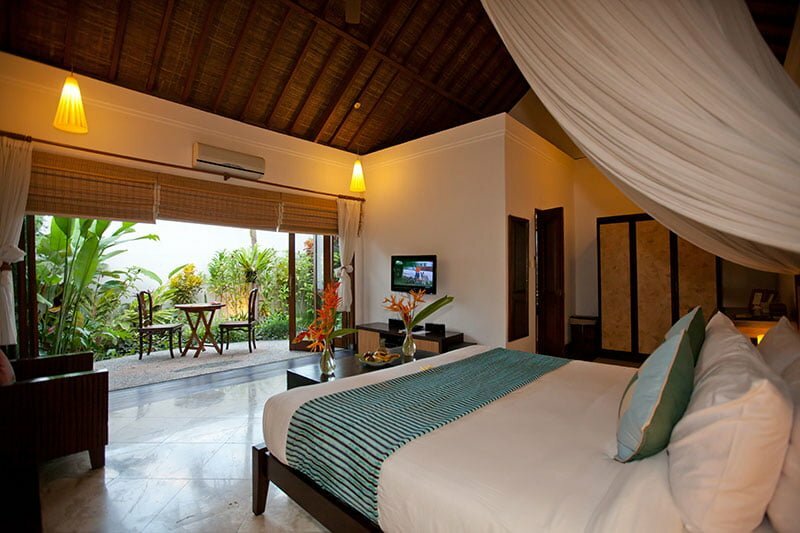 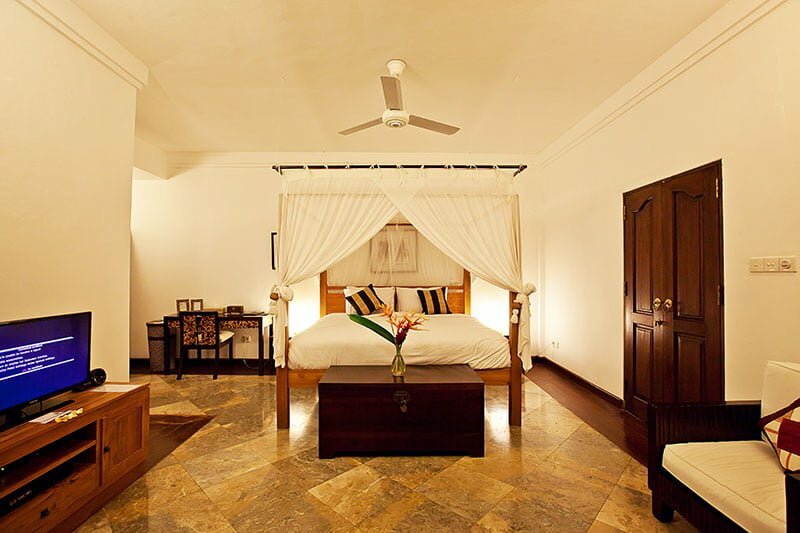 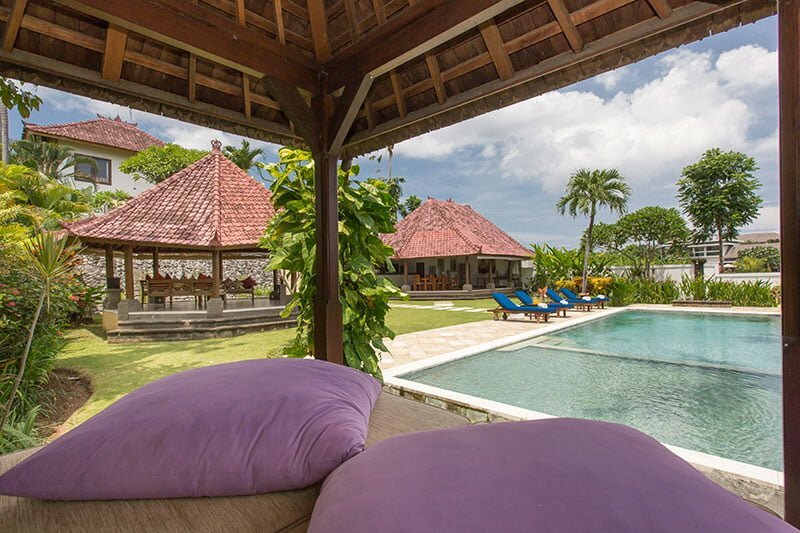 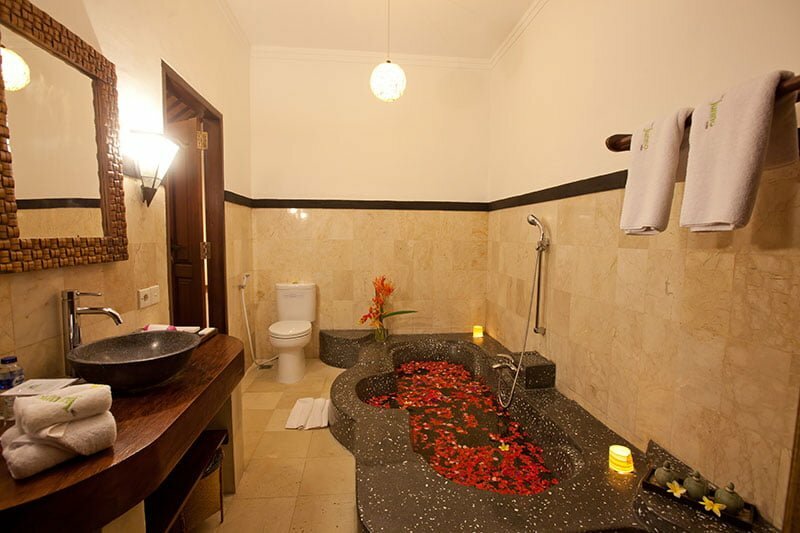 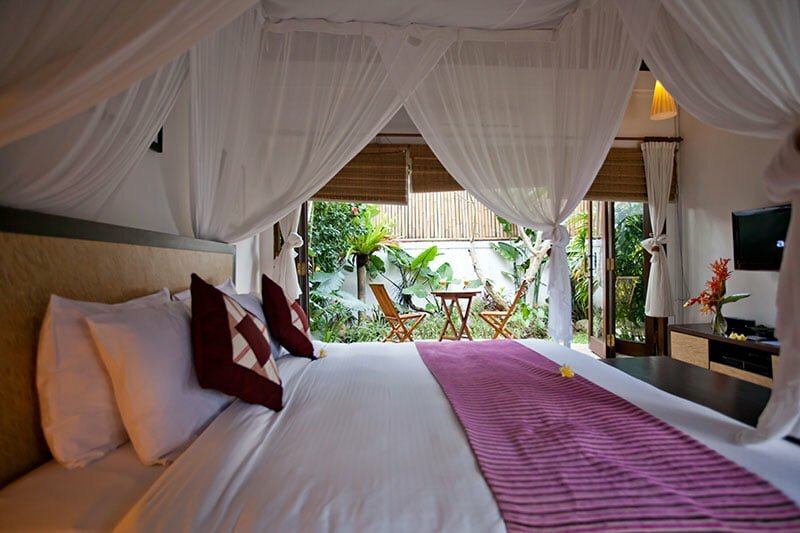 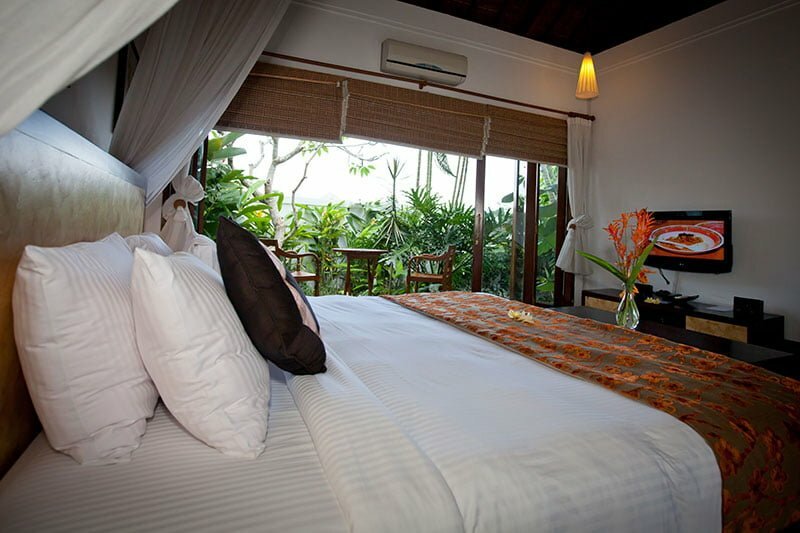 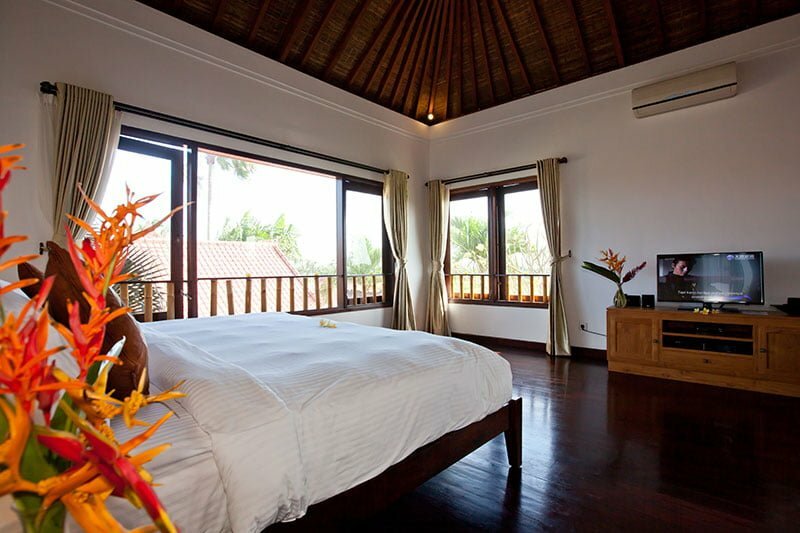 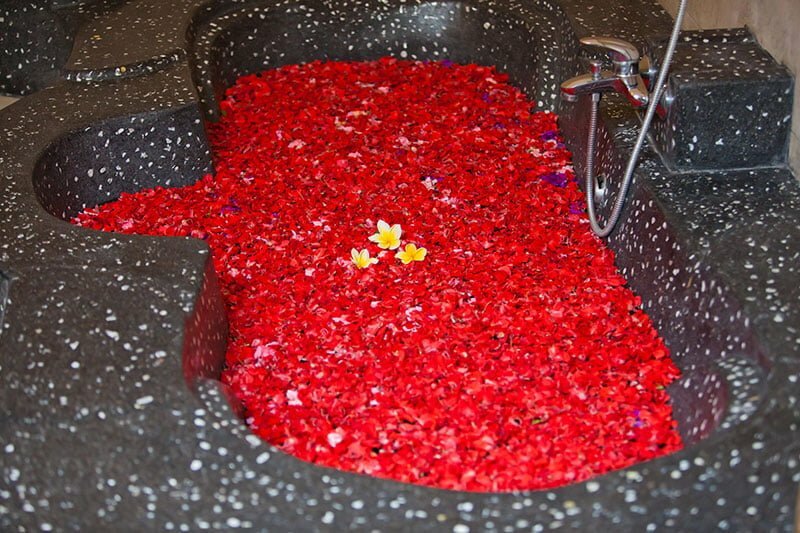 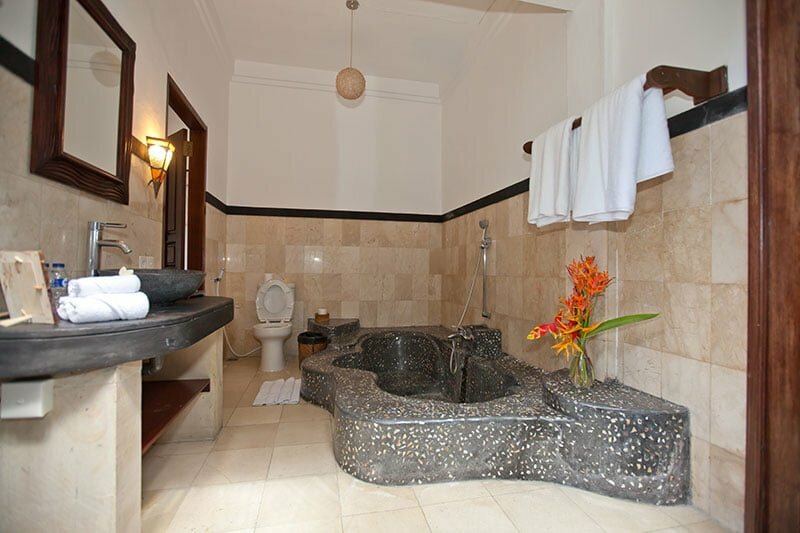 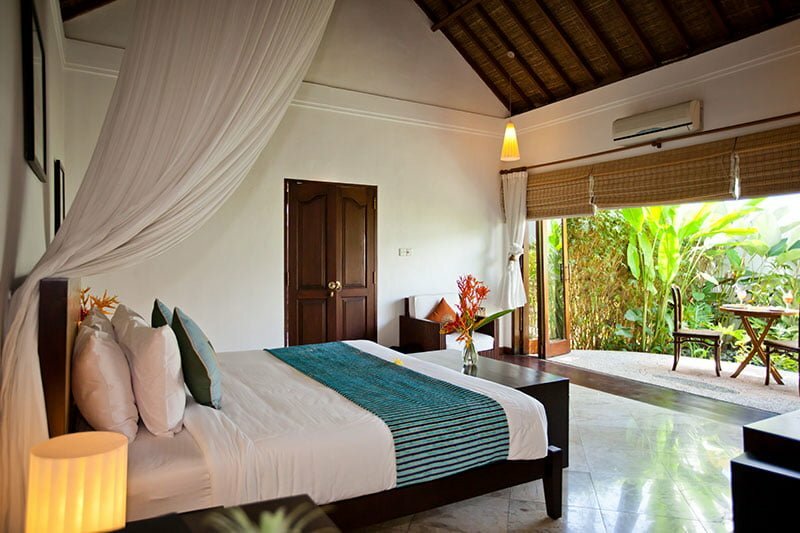 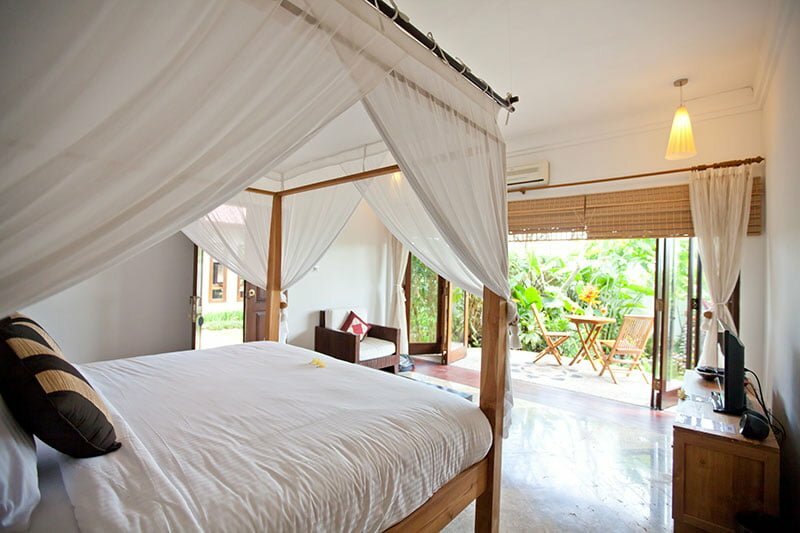 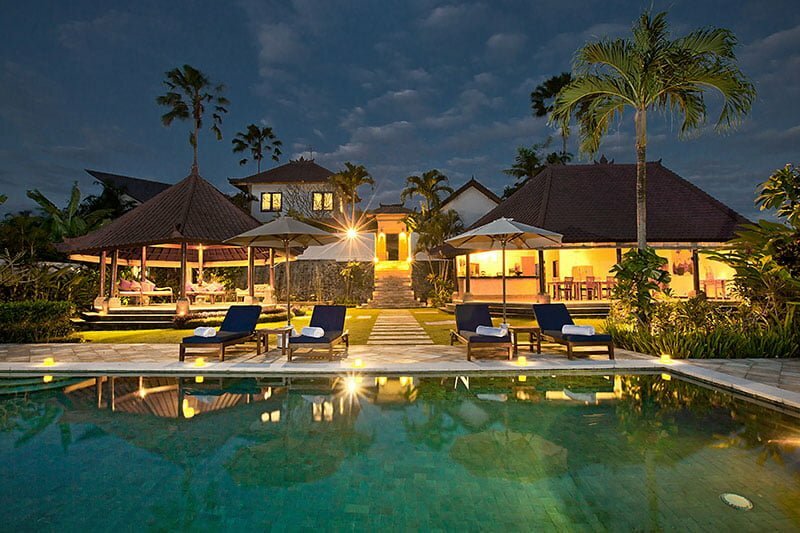 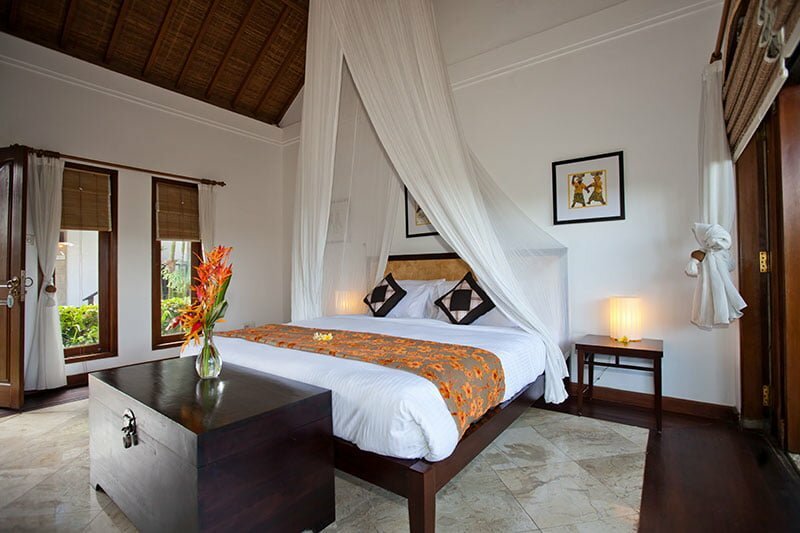 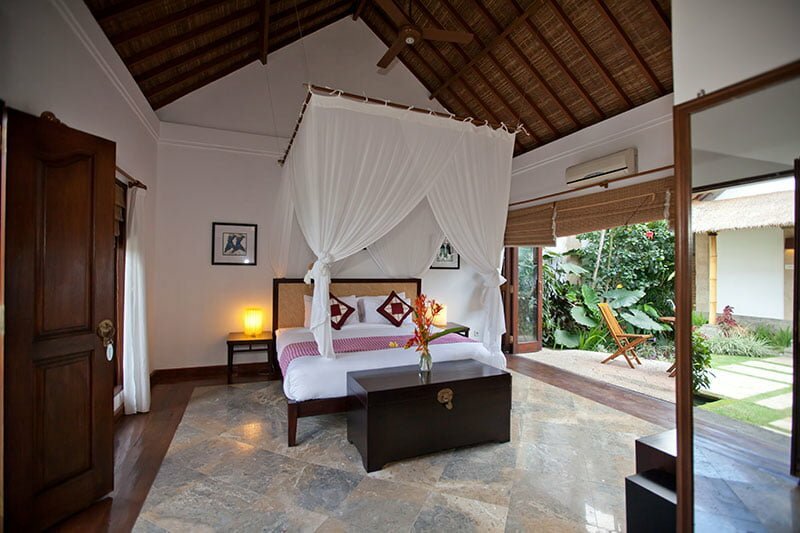 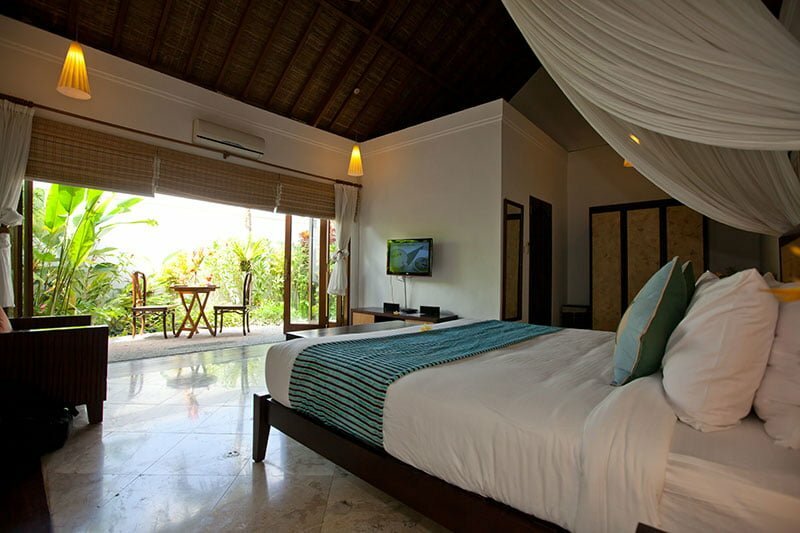 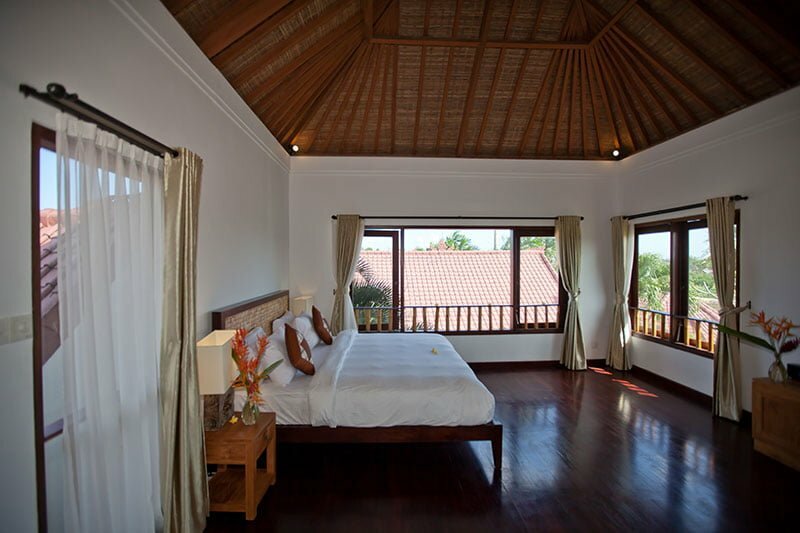 If you are seeking a true luxury accommodation at a villa in Bali, then welcome to our haven, Villa The Junno. 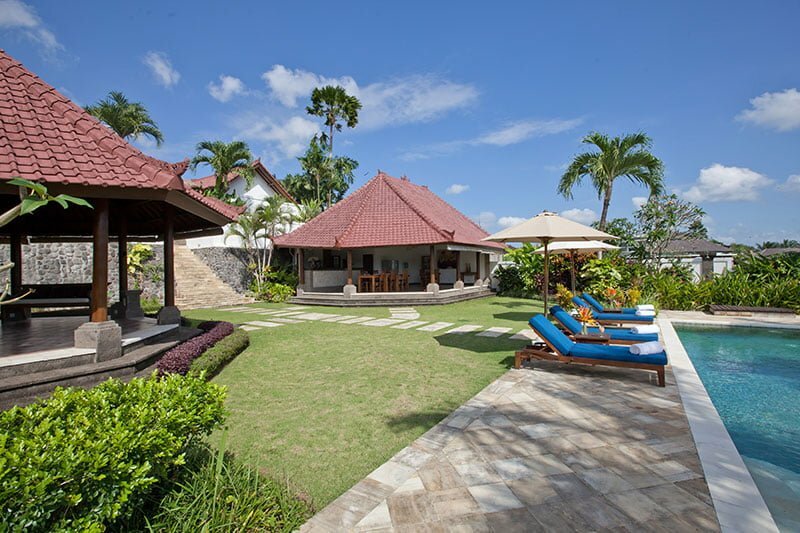 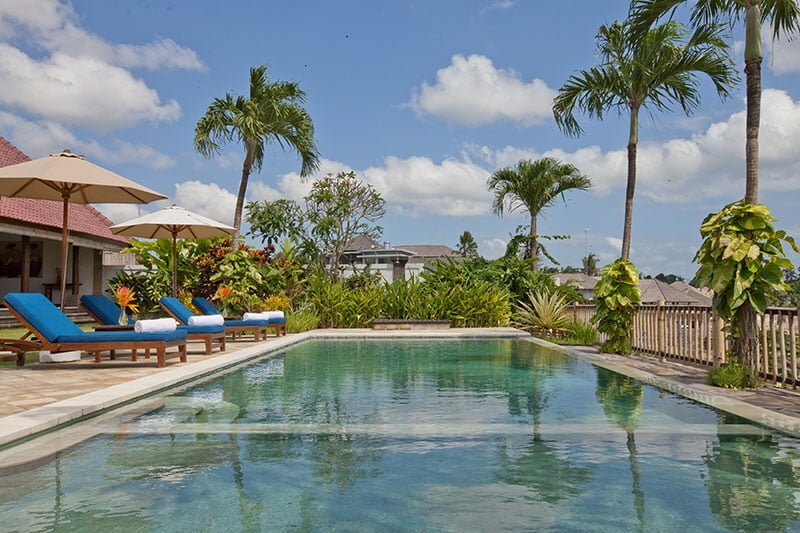 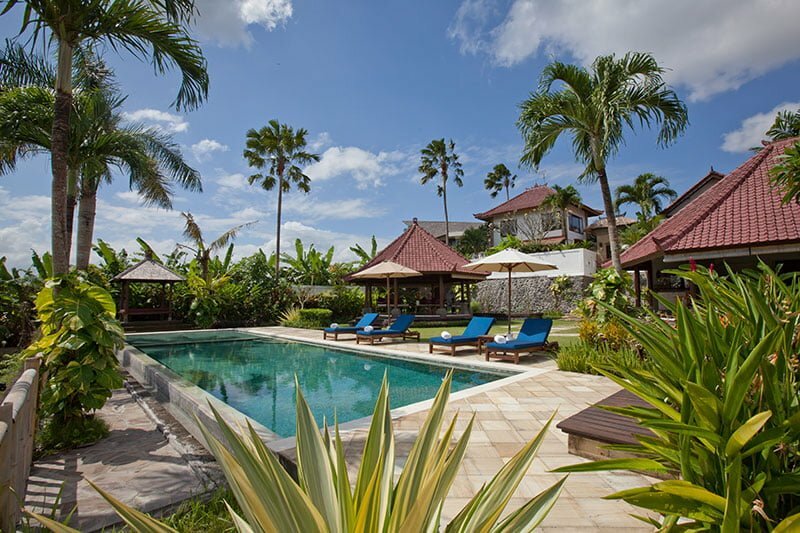 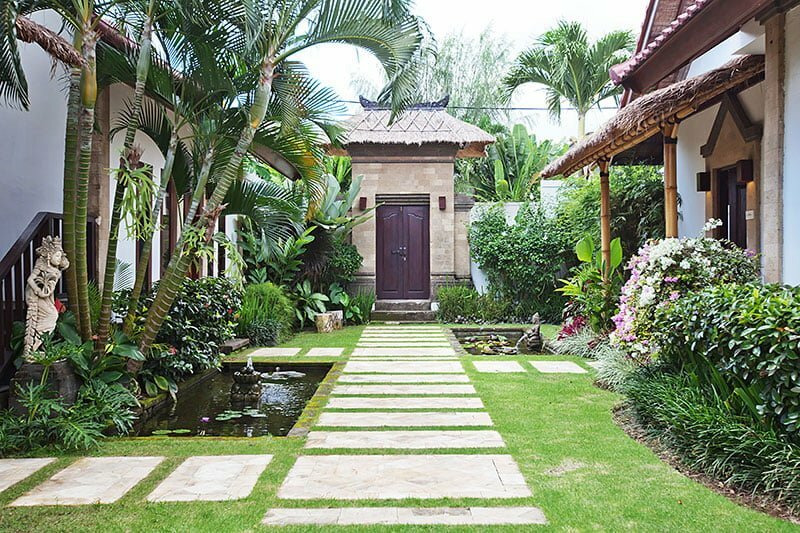 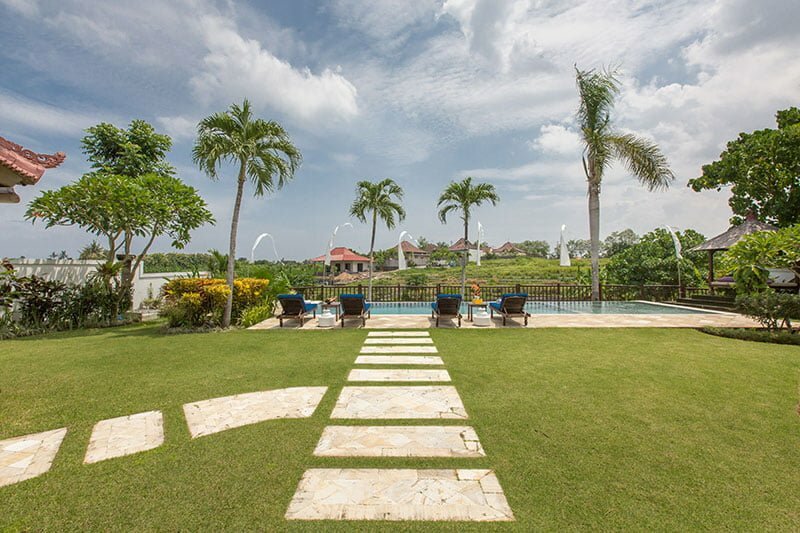 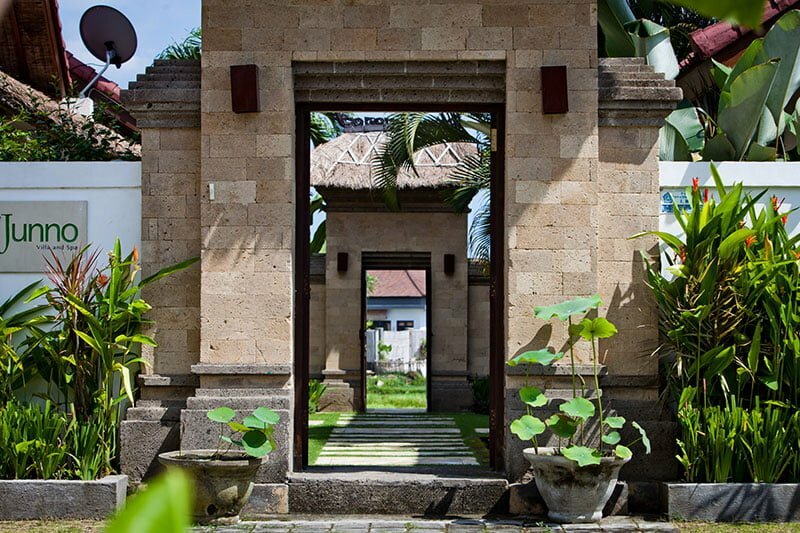 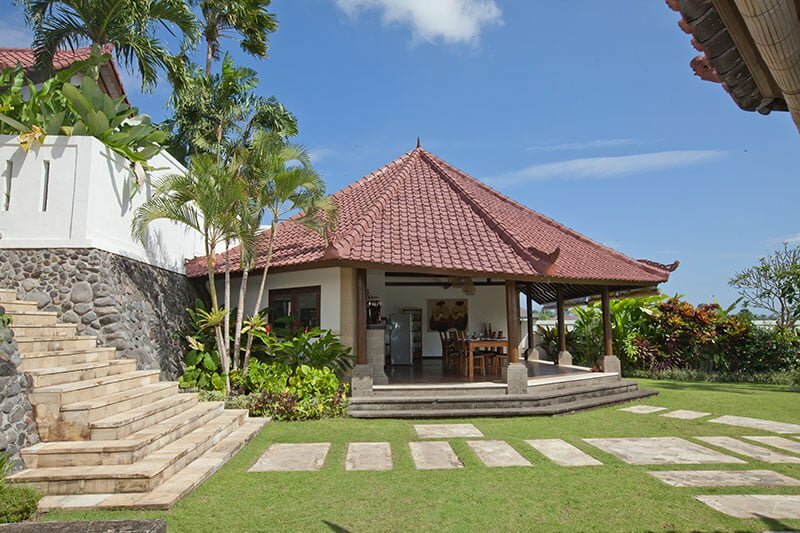 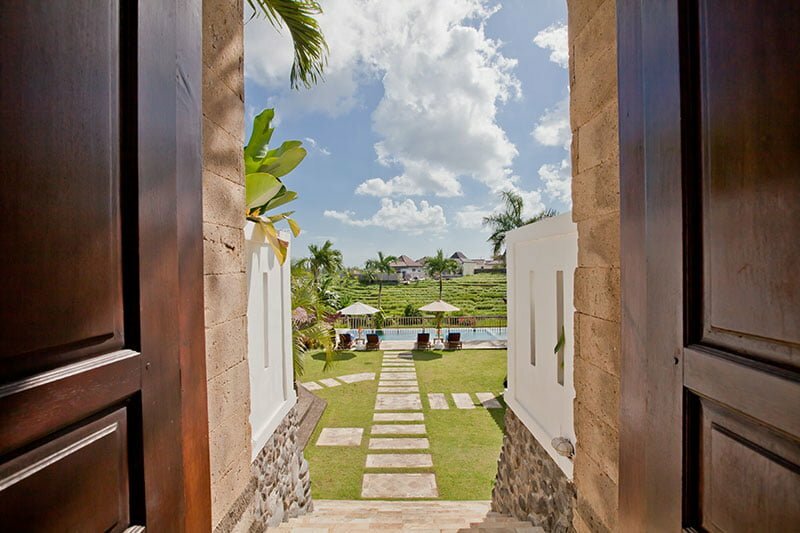 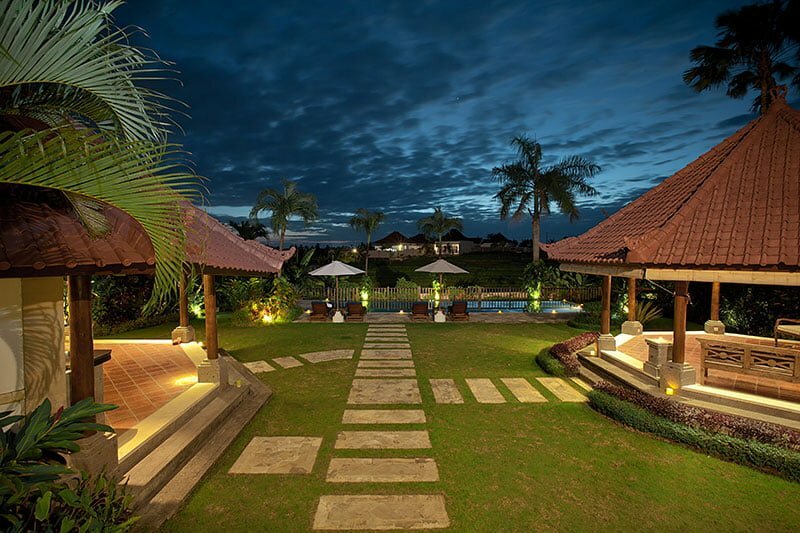 Located in Canggu, our villa is a cluster of 6 pavilions exemplifying a tropical design. 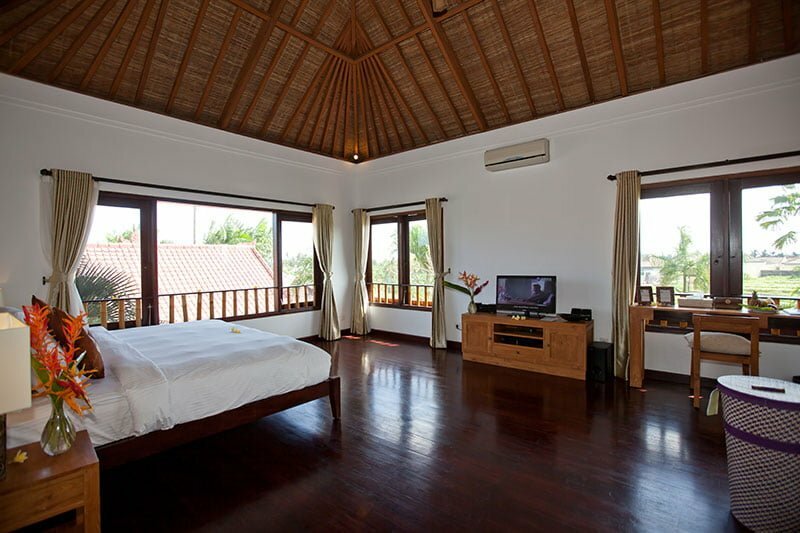 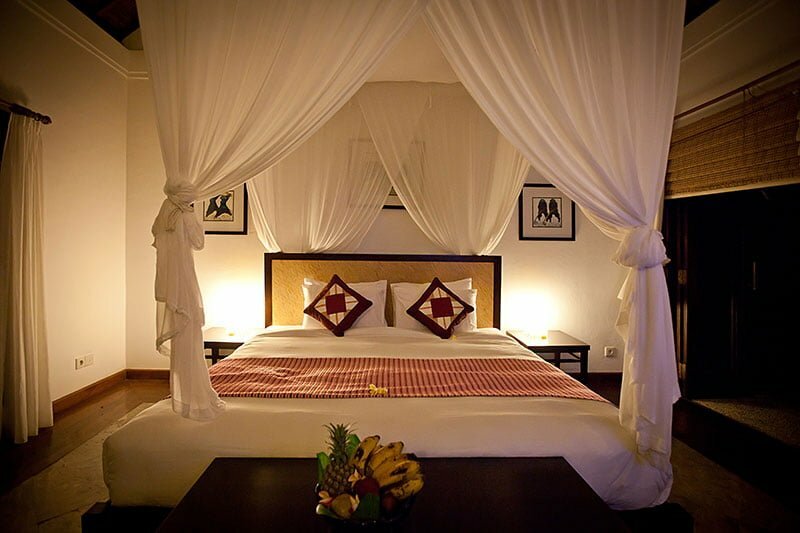 The interiors of our villa fully appointed with elegant furnishing to ensure guests get a comfortable touch. 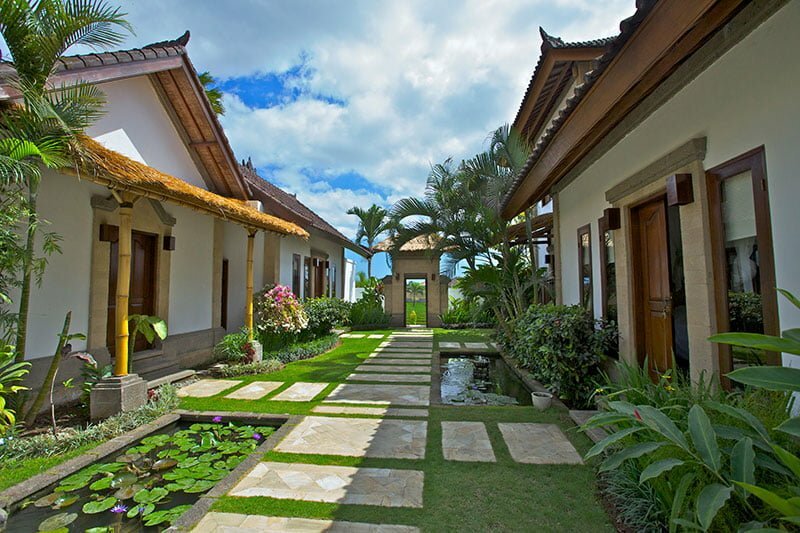 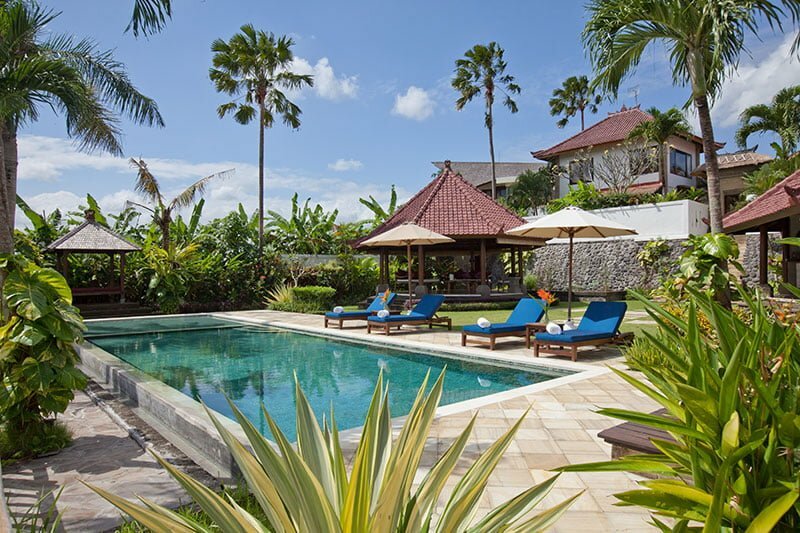 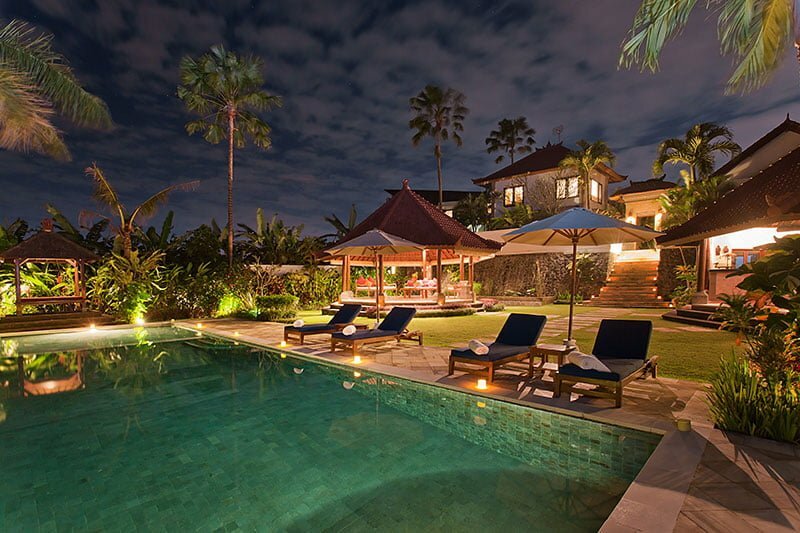 Since we are based around the legendary Canggu’s rice fields, our villa is sure to provide you with all the basic features of truly genteel, tranquil, and rustic dream holiday. 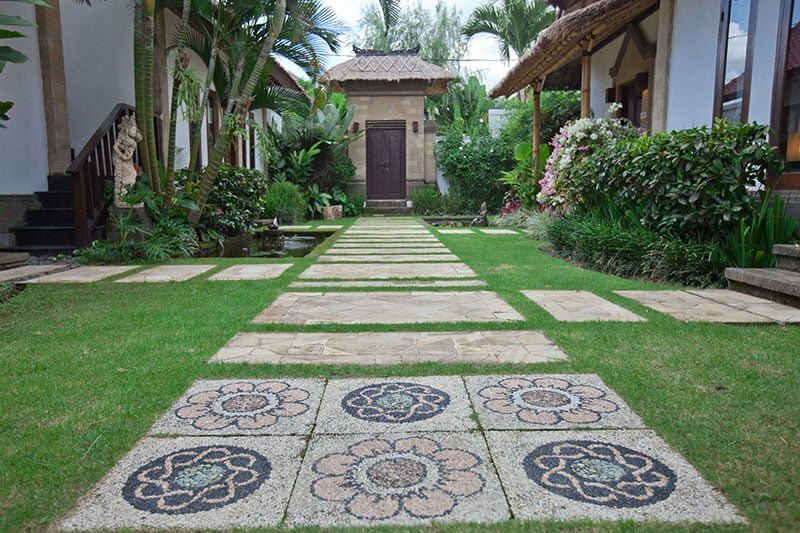 The very first thing you will see when you step your feet on your compound is a well-kept green lawn. 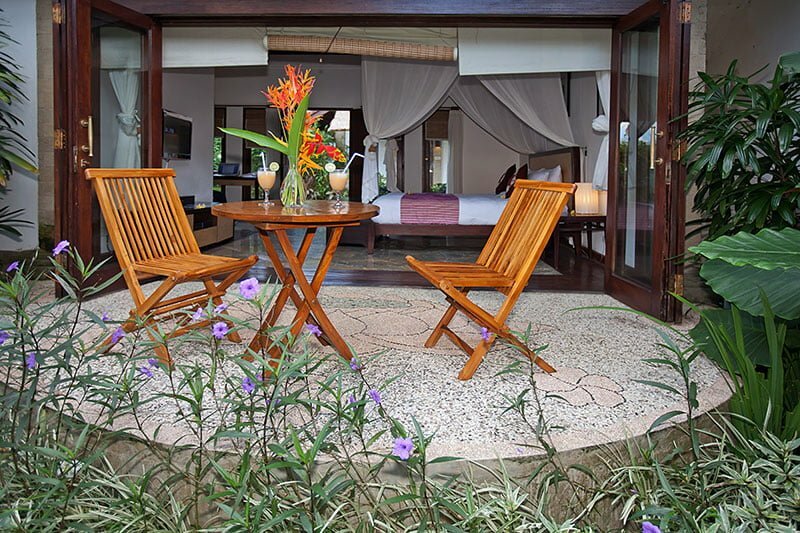 There is also some spots of tropical foliage to bring in the element of a tropical vacation. 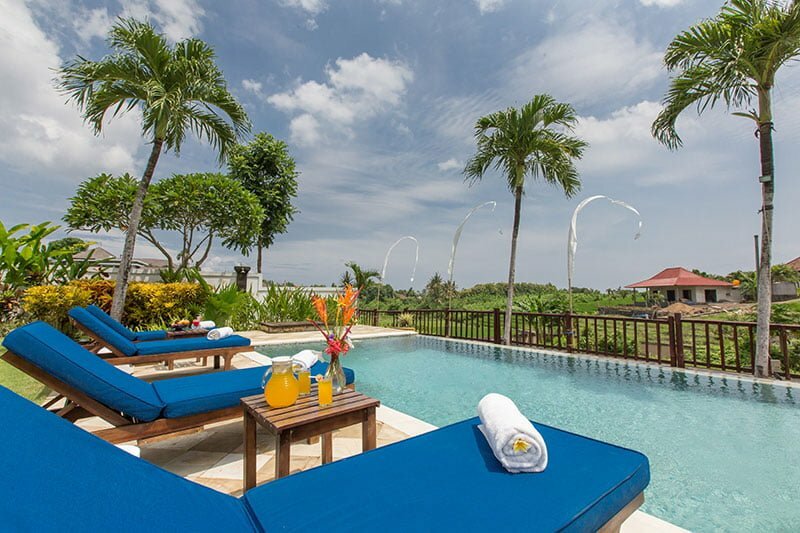 We also have a 14-meter infinity pool where guests can immerse themselves during the lazy sunny afternoons. 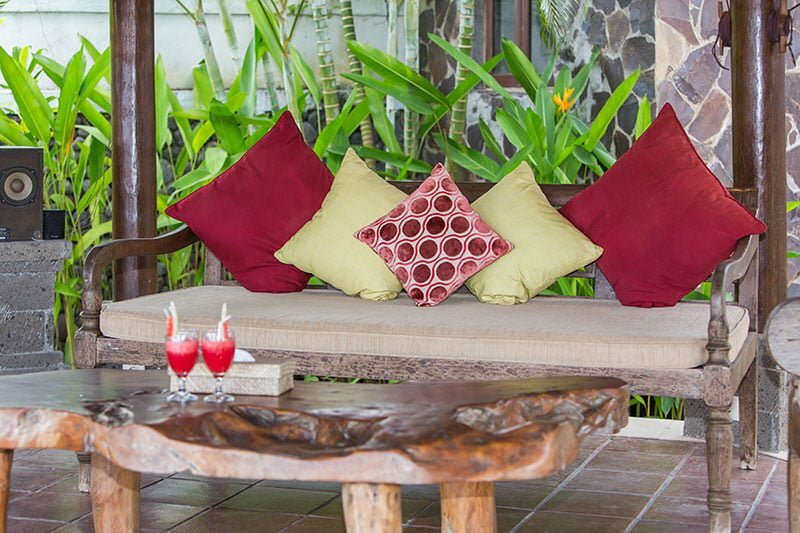 If you are exhausted dipping on clear pool waters, you can relax or stretch out on our pool’s wooden and padded sunbeds. 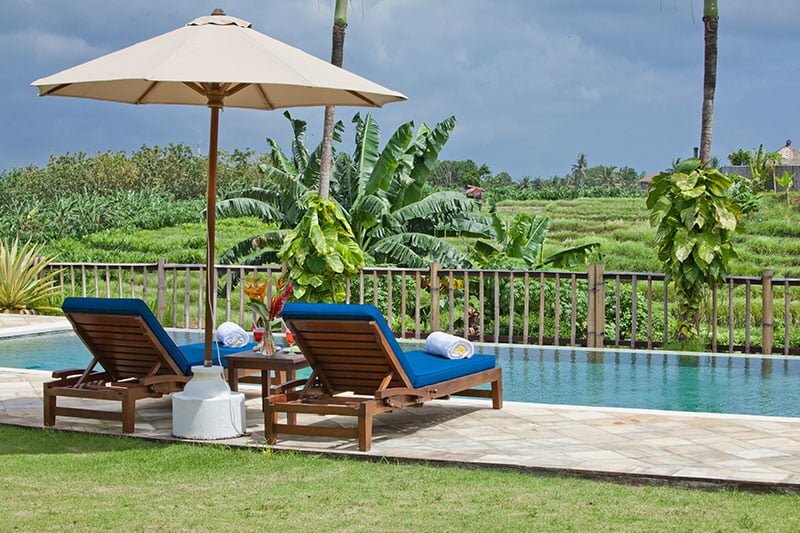 If that does not impress you, then you indulge in an afternoon siesta on comfy mattresses resting under the shade of our pool’s Bale. 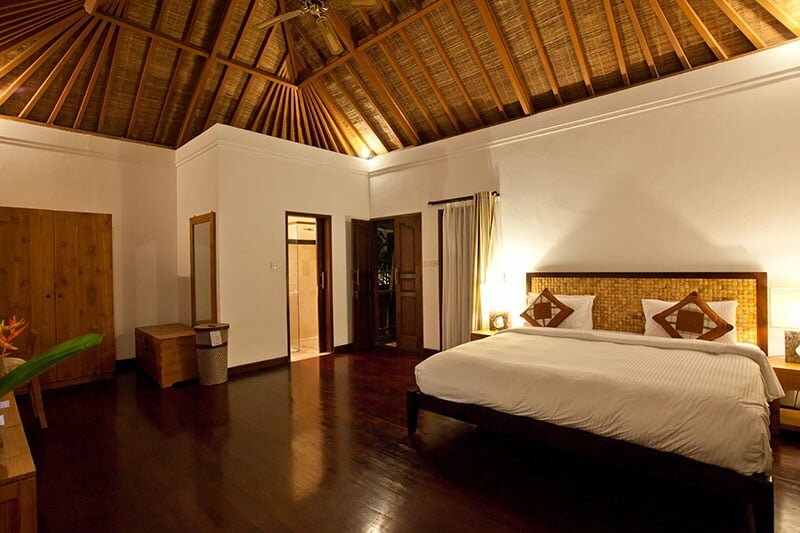 At semi-open, breezy, high-ceilinged pavilion right behind the pool is the villa’s living area. 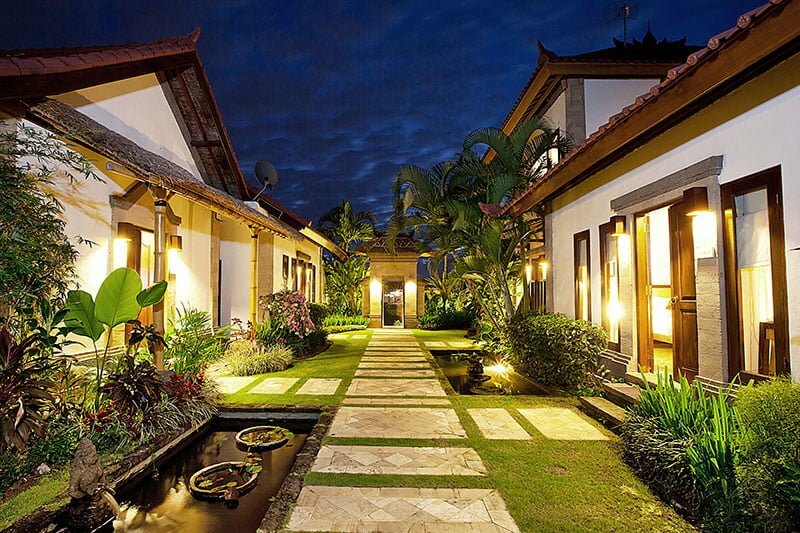 It does exceptionally well in mesmerizing its guests. 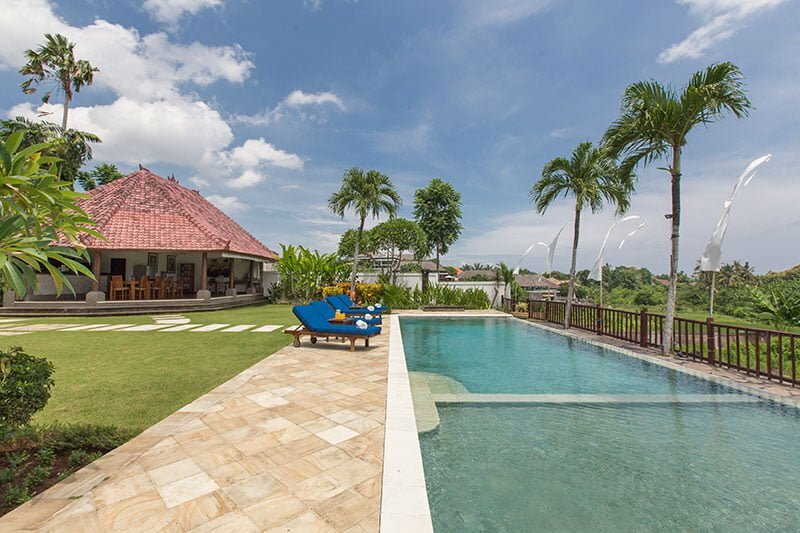 On wooden and cushioned benches, guests can get together for an engaging conversation as they lazily gaze their eyes around the padded rice terraces, villa’s garden, and the pool area. 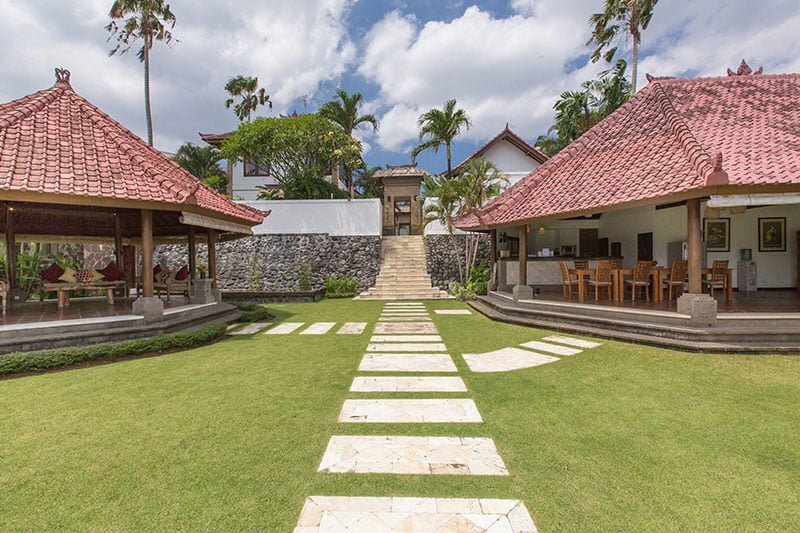 There is another grand pavilion across the lawn where everything about dining takes place. 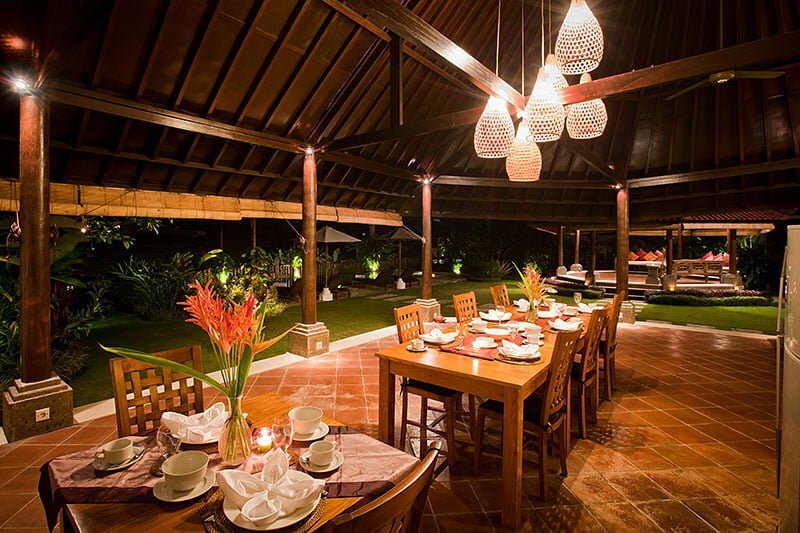 This one comprises of a long wooden table with a sitting of up to ten people. 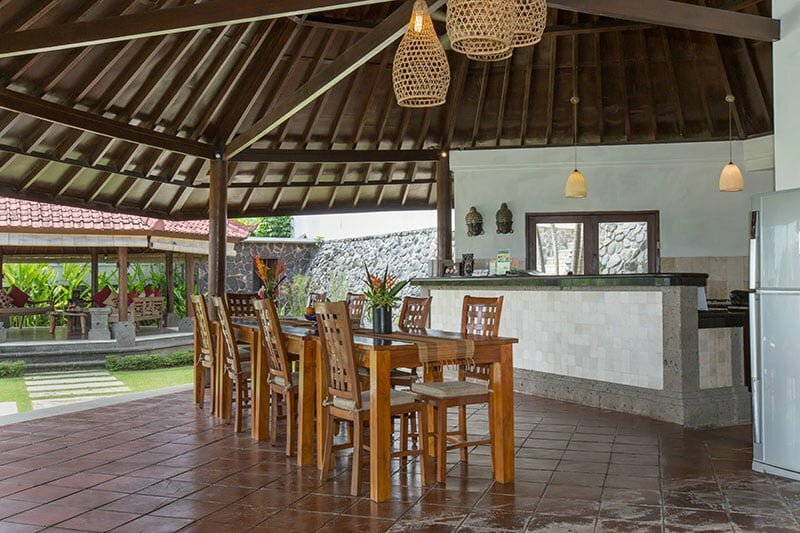 There is also a modern fully equipped kitchen right the pavilion’s back where guests can be served with both local and international cuisines. 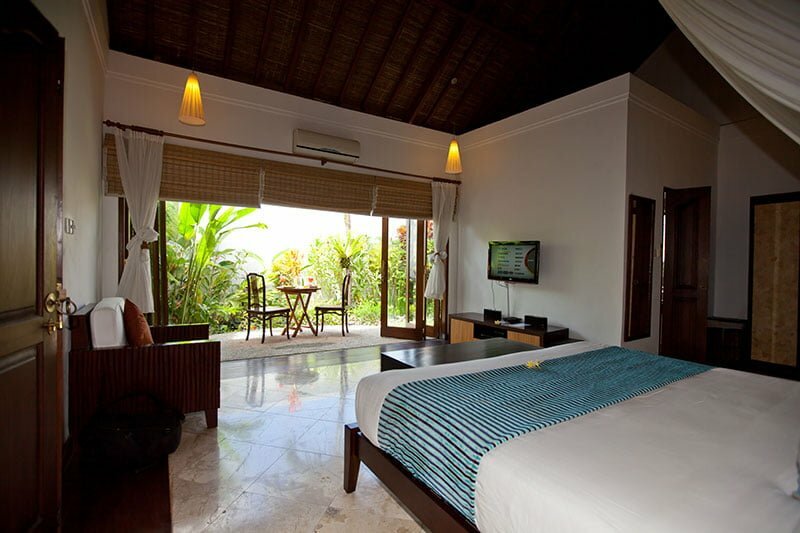 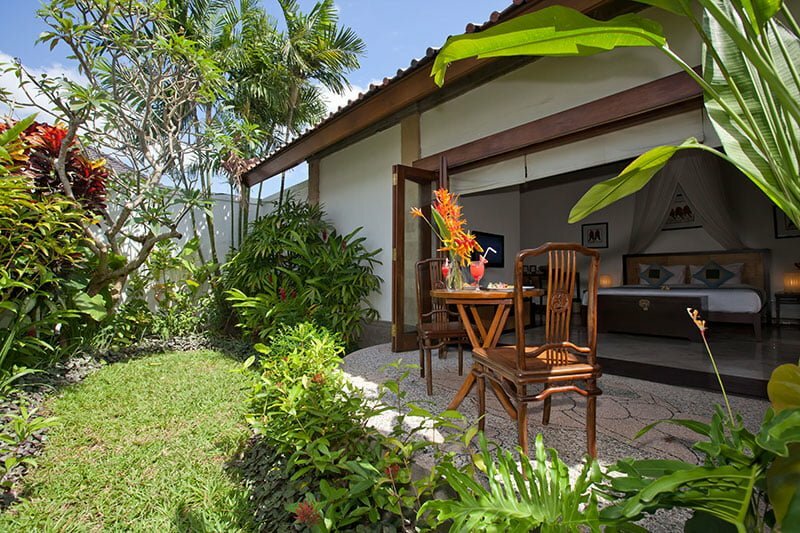 Our villa is a 2-bedroom facility. 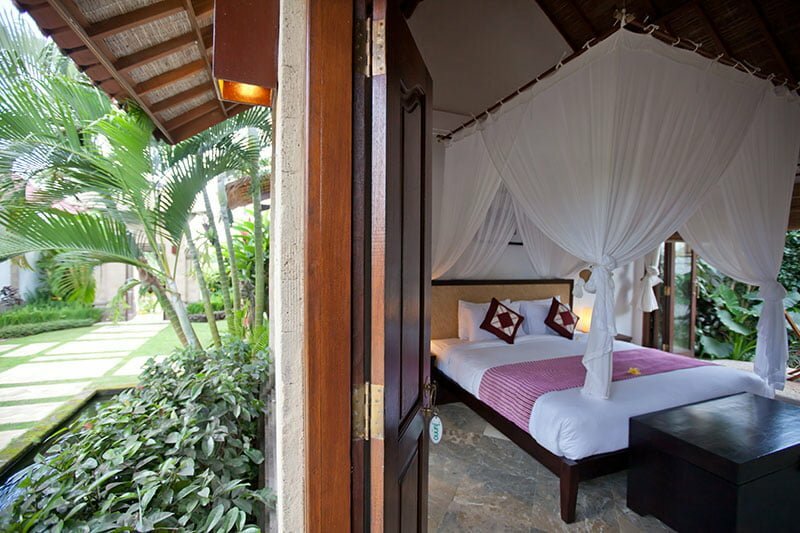 Two rooms feature a privately detached pavilion. 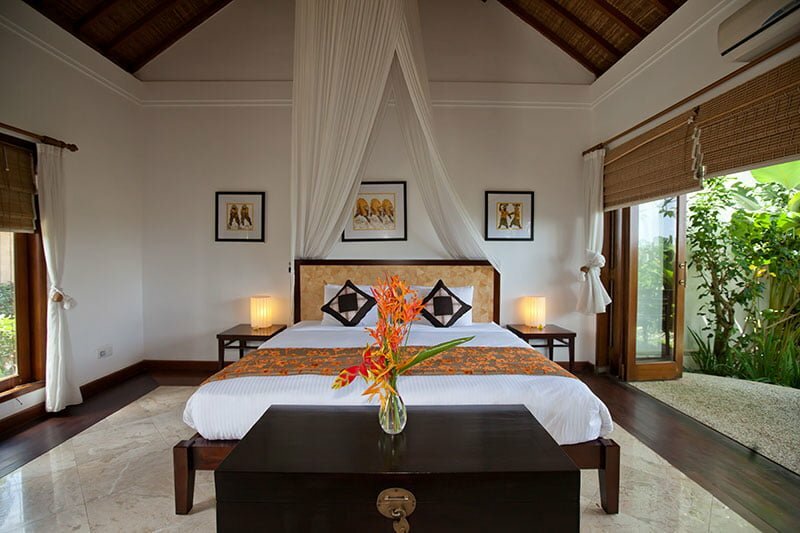 All the bedrooms, nonetheless, are fully furnished with modern amenities such as a queen-size bed, flat-screen television, DVD player, and en-suite bathroom with outdoor showers and stone bathtubs. 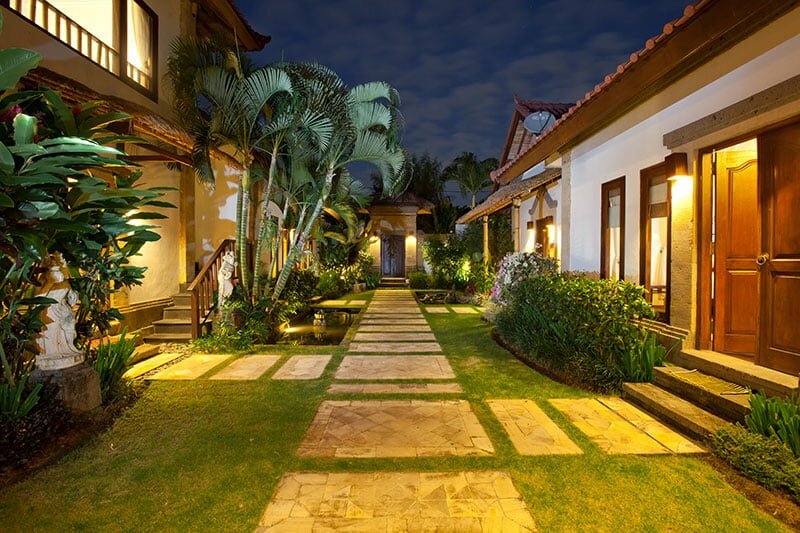 We have a team of five members tasked to offer five-star services to guests on a 24/7basis. 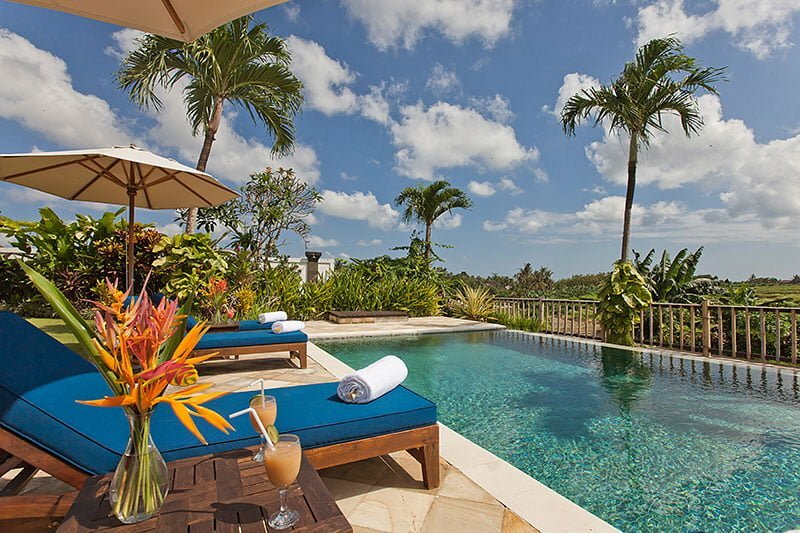 Our staff includes a pool attendant, personal guest assistant, housekeeper, security guard, and a gardener. 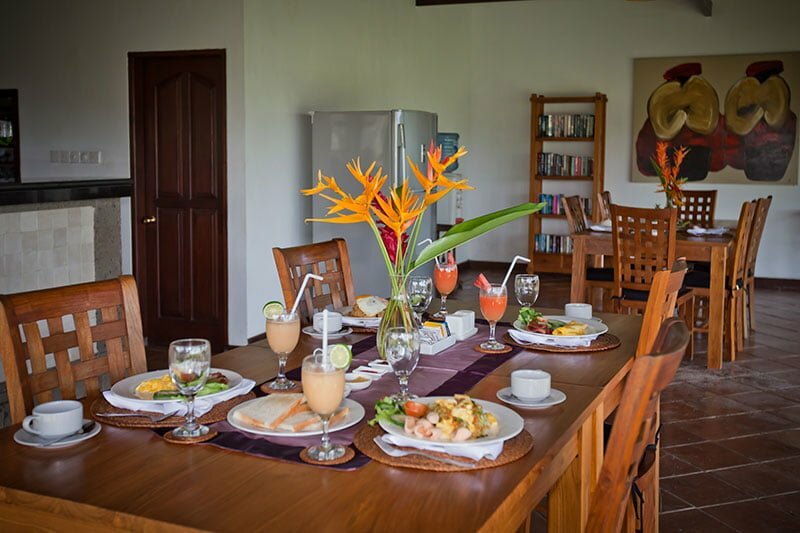 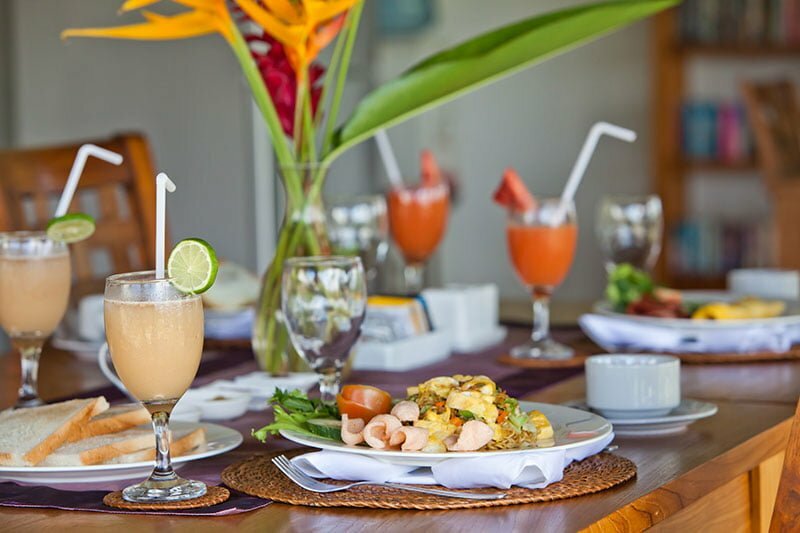 In addition to the services each member offers, our villa also indulges guests with babysitting services, laundry, private chef, massage & spa services, and taxi-and-driver services. 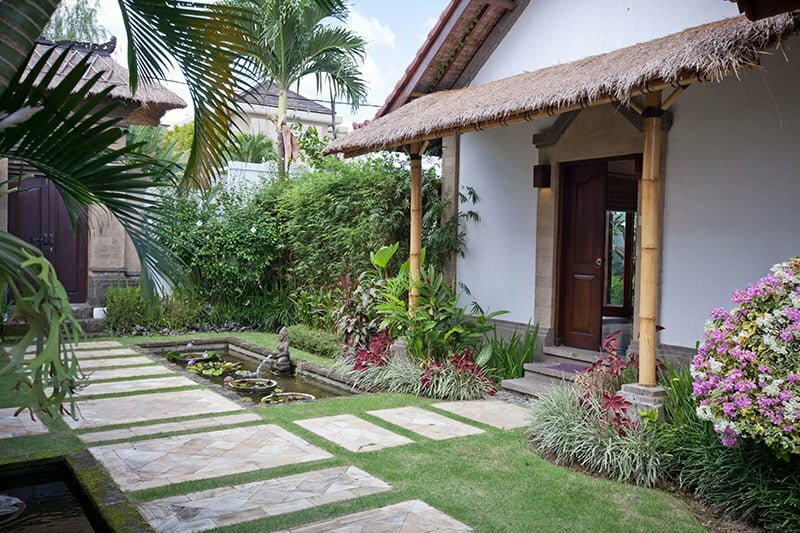 The latter category is offered upon request and it comes with additional costs.